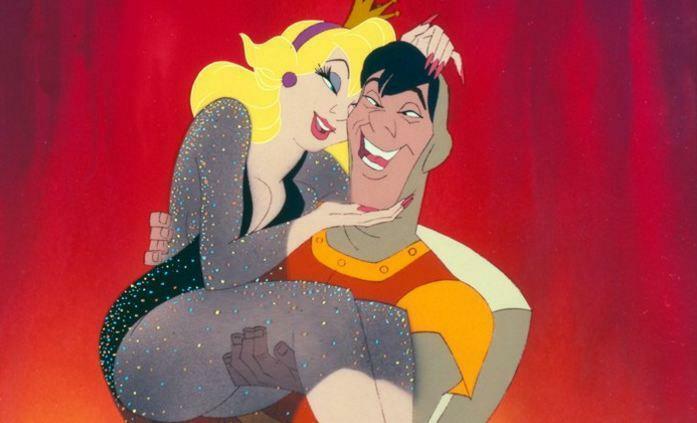 The Kickstarter campaign for a movie based on the arcade classic Dragon’s Lair has been canceled. But while that campaign is dead, the project itself is not. In an update posted on Kickstarter this week, producers and animation veterans Don Bluth and Gary Goldman announced that a “stronger, more valiant” campaign will resurface next week on Indiegogo, another popular crowdfunding site. Bluth and Goldman, whose film credits include The Land Before Time, All Dogs Go To Heaven, An American Tail, and The Secret of NIMH, launched the original Kickstarter campaign back in October, at the time asking for $ 550,000. That would be used to make a 10-minute teaser that Bluth and Goldman would then pitch a full-length movie to Hollywood studios. Bluth and Goldman will also meet with private investors or investment banks to secure funding. At the time of its cancellation this week, Bluth and Goldman raised more than $ 240,000 from close to 3,000 people. They estimate that it would actually cost around $ 70 million to make the full movie when all is said and done, which is reportedly on the lower end of what animated films cost these days. Dragon’s Lair was originally released for arcades in the 1980s. Bluth and Goldman said last month that it’s Dragon’s Lair, not any of their films, that fans know them best for. They estimated that there are “millions” of Dragon’s Lair fans out there, 30 years after the game’s original release. How the new Indiegogo campaign differs from the Kickstarter effort remains to be seen. We’ll have all the details for you on Tuesday when the page goes up. Tagged Canceled, Crowdfunding, Dragons, Lair, movie, Preview, ‘Dead, ‘Project.